Arkéa Banking Services began life in 2009 by offering white label banking services on behalf of third parties. CEO, Christophe Bitner tells Mazars why offering support to Fintechs is now an important next step. What’s the driving force behind the evolution of Arkéa Banking Services and what are the levers for growth? 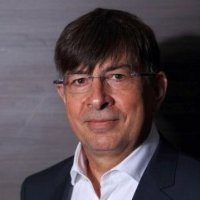 Christope Bitner: when the structure was first launched, the aim was to attract institutional or banking customers who could be brought into the fold of Credit Mutuel Arkéa (CMA). This was done in order to achieve two goals: firstly, lowering the TCO of the Group’s information system, and secondly, remaining a major player in the main settlement systems. ABS has enabled the Credit Mutuel Arkéa group to strengthen its B2B activities and to grow beyond its natural boundaries by offering white label banking services on behalf of third parties. We entered the banking market because ABS, as it exists today, was born when we took on Allianz Bank’s banking business on a white-label basis (“BPO” facility). That made it a natural route for us. Our support for FinTechs directly reflects the group’s heavy involvement in the digital ecosystem in order to sustain innovation in every aspect of business in the banking sector. Our Fintech business now represents a real strategic focus for CMA in its strategy for the years leading up to 2020, both in France and in Europe. With our mutualist DNA we tried to understand the banking issues faced by FinTechs so that we could support them better. That’s how we were able to evolve from being simply a banker into a real partner for French FinTechs. We’re now the leading bank for FinTechs in France. How do your services benefit FinTechs specifically and what makes you stand out from the crowd? Christope Bitner: to give an example. When a French-based FinTech becomes an accredited financial institution, it will receive a bank code, but it won’t appear in the clearing systems. Our approach is different: our customer is affiliated to us, and we carry out its own bank code. Within this context, our customer could give an IBAN/BIC to its own customers. That has two benefits: the visibility of the business in clearing systems, and the improvement of their internal organization. Not least, because they can more easily monitor the flows of each of their customers. Conversely, if a FinTech works with a classical bank that amalgamates everything, it will receive a single flow for all its customers and will have to process it later to obtain the individual flows. We wanted to eliminate this step for our customers. At the moment we are the only ones in the market to offer this service. What we offer is fantastic for small but growing organizations, because these days the task of reconciliation can require whole teams. We created this service in partnership with the FinTechs, listening to them, watching the way they work and analyzing their problems. It’s a strategic direction for us. Most banks have incubators, but we don’t think that incubators, on the whole, are able to provide the support, the advice and the assistance that these FinTechs need. CMA has also bought into the Fintech sector. How is this significant to the services you offer now and in the future? Christope Bitner: it’s a question of digitalization. CMA is aware that there will be a huge development of the “market-places” that bring traders together, such as Amazon. With the acquisition of Leetchi and MangoPay, the group will in future be able to offer a global service to these marketplaces. The technologies and know-how developed by FinTechs will bring us up-to-date technology, something which would not necessarily be able to integrate into our information system, and also enable us to focus on advisory and customer relations. By buying MangoPay, we can be sure of satisfying these two points. Our customers are starting to tell us that it would be a good idea to consider aggregated services across banking and FinTech. The group is encouraging some of our FinTechs to develop and improve some of these aspects. For example, Linxo is used by Fortuneo as an account aggregator, known as FortuneoBudget. Currently we work a good deal with businesses engaged in currency interventions. So we are in a true industry partnership and we are improving our services, enriching and transforming them in collaboration with these players. For me, this is today’s digitalization. How do you plan to manage such accelerating innovation? Christope Bitner: we have one big advantage: we’re a small organization with a hundred staff, assembled and trained to serve external customers. So I have no obstacles to the arrival of a new type of customer, a new way of doing things. Because we provided white label banking services, we are flexible and very adaptable by nature. That’s in our DNA. We listen, we reach out to the FinTechs, to see how they share, whether or not they join forces, then we analyze and we adapt, because we are quick on our feet. If you’d talked to me about Europe in early 2015, I would have said that we were looking at the long-term possibilities. At the end of 2015 we saw a sharp rise in new European customers. In 2016, we analyzed the countries of interest and are carrying out studies to draw up an action plan and to establish a presence in 2017. Agility, flexibility and the ability to listen: these are the three qualities that enable us to keep up with the changing market. Thinking about digitalization and FinTechs, how do you tackle the issues of compliance and ethics? For example, how many staff are allocated to compliance and what are your reporting requirements? Christope Bitner: we deliver an essential service so we are governed by the decree of 3 November 2014 (formerly CRBF 97-02), that’s our bedside book! However, we have to strike a balance, with a reasonable level of control of our customers without becoming their internal regulator. We monitor our customers. If a customer does not have the right level of control, we ask them to set it up, but we don’t do so on their behalf and we don’t tell them how to do it. If necessary we point them to a lawyer or a consultancy. The most significant information for the regulator is the fact that customers’ money is with us. If we have a payment institution in difficulty which is taking funds from private individuals, the ACPR will ensure that these individuals do not lose out. As the bank ring-fencing the funds, the ACPR will turn to us. So we are very cautious. The risk and compliance department consists of six people and is represented in the management committee. Six per cent is the ratio in all credit institutions. However, we are a B2B credit institution and so, if we compare this figure to the number of our customers, the ratio of customers to dedicated employees is very high by comparison with traditional credit institutions. We are audited on average once a year by all our customers. If you add that to the internal audits by the general inspectorate and our statutory auditors, we come under a good deal of scrutiny.